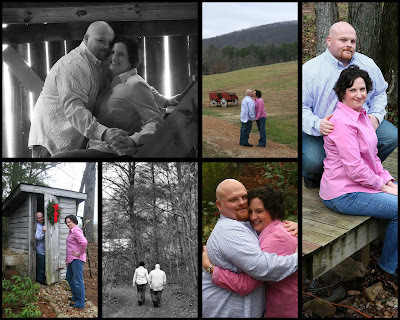 Courtney and John came from Virginia to look at Sampson's Hollow as a possible location for thier wedding, and loved it. We were able to take engagement photos right after thier meeting with Bill. The day turned out nice, but a tad windy - not too cold though... I'm looking forward to the wedding.